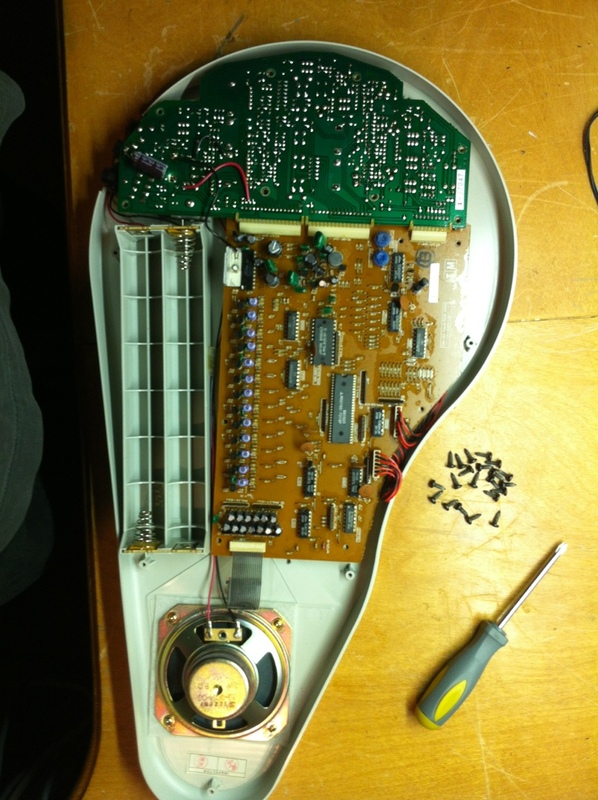 I recently serviced two vintage Omnichords, both model OM-84. One had been attached to the wrong power supply, the other cut out intermittently and had to be turned off and on to reset. 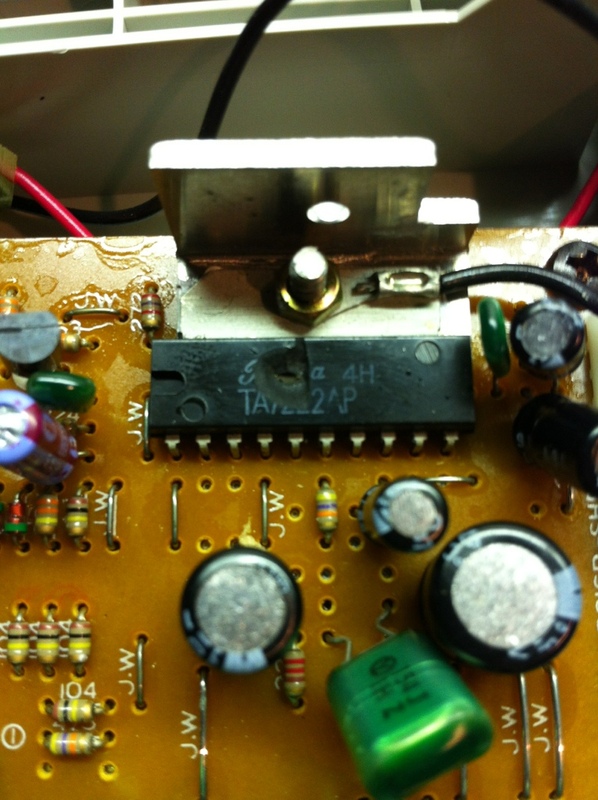 The first one had an obvious problem – the power amp chip had literally blown! The power supply circuit has some regulation for the digital logic and other circuits, but the power amp gets the full supply. The part is obsolete but I sourced a genuine replacement to get it playing again. The second unit had some intermittent issues. I found that pushing on the front panel or tapping the side would cause a playing rhythm/chord to freeze and require re-booting. Opening the unit it became obvious that the connectors between the two PCBs were at fault. 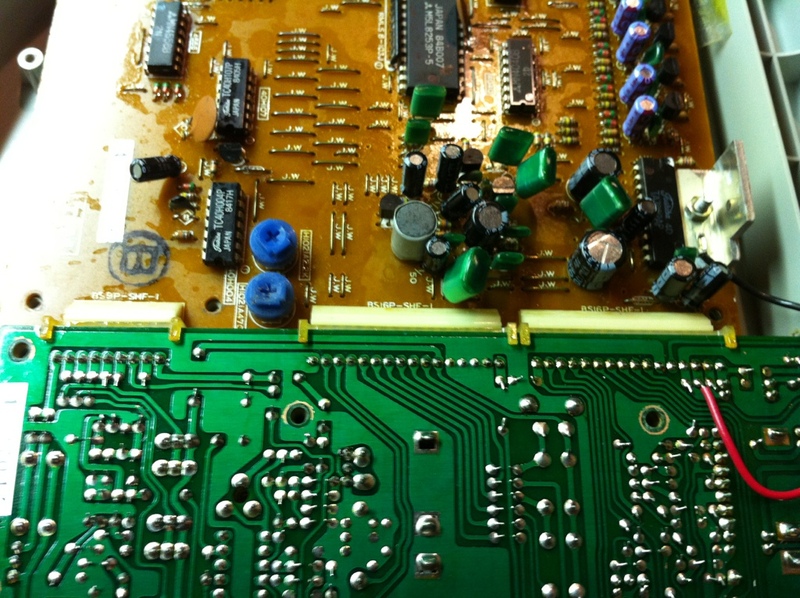 Cleaning and reseating did not solve the issue so I touched up all of the connector solder joints on both boards – problem solved! This entry was posted on April 28, 2013 at 4:23 pm and is filed under Repaired with tags analog, keyboard, Omnichord, synth. You can follow any responses to this entry through the RSS 2.0 feed. Responses are currently closed, but you can trackback from your own site.